Poroshenko told the Madrid newspaper El Pais in an interview published earlier in the day that Russia through RT television and Sputnik was spreading fake news about Ukraine, the US election, Brexit, Catalonia and Crimea to create instability. 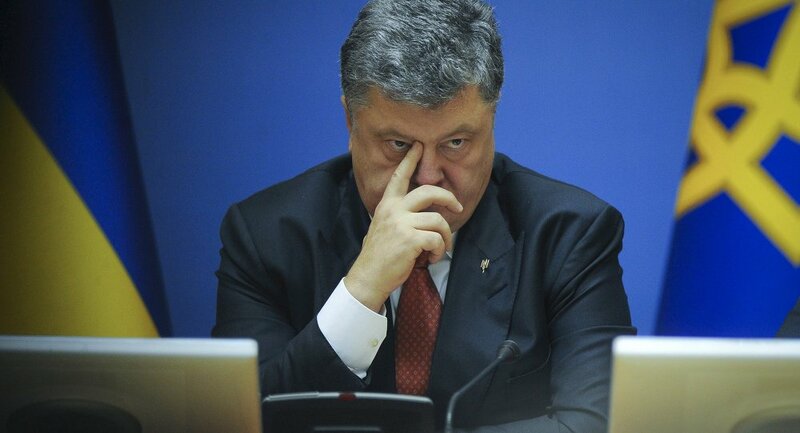 Poroshenko also rejected Russian news reports that there was a civil war occurring in Ukraine and claimed, without providing any proof, that there were 60,000 Russian troops on Ukraine territory. "Poroshenko says all kinds of things and, as we just saw, his government manufactures all kinds of events," Armstrong said on Tuesday. Last week, Ukraine security services staged the so-called murder of Russian journalist Arkady Babchenko in what authorities alleged was an operation to thwart an assassination plot. Kiev said Russian intelligence was behind the fake murder plot before it even finished an investigation. The move drew sharp criticism from several human rights groups. Moscow rebuked Ukraine's envoy to the UN for lying to the Security Council, when he claimed the murder was still a mystery. The former Canadian diplomat also claimed that the hypocrisy of Poroshenko’s attacks on Russian media is exposed when one looks at Kiev’s lack of respect for media at home. "Freedom of speech and other ‘Western values’ have nothing to do with the situation in Ukraine," he said. The Ukraine president himself, ironically, was able to come to power through a manufactured incident — a violent coup instigated and directed by foreign powers and led by ultra-violent Nazis, Armstrong pointed out. Poroshenko’s antics are also a sign of desperation, he suggested, given reports of excesses in Ukraine over the past four years had steadily undermined the Western narrative that Kiev was championing democracy, freedom of speech and similar values. In late May, Kiev introduced sanctions against Rossiya Segodnya Information Agency, which Sputnik belongs to and RIA Novosti Ukraine portal. The head of RIA Novosti Ukraine portal, Kirill Vyshinsky, has been detained in Kiev on suspicion of treason. Moscow has called for his release. Margarita Simonyan, the editor-in-chief of RT broadcaster and Sputnik news agency, hit back at misinformation allegations in an April interview to the Swedish SVT channel. Simonyan said that Western media often used every opportunity they had to show Russia in a bad light. Russian officials have repeatedly refuted allegations of Moscow meddling in other countries' internal affairs, pointing out that these claims have remained unsubstantiated.